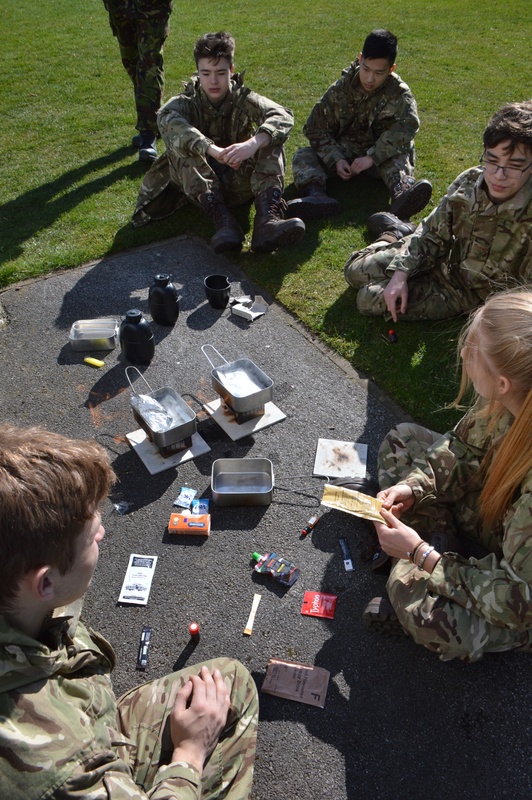 This week, our junior cadets in Years 10 and 11 took part in a CCF training field day. 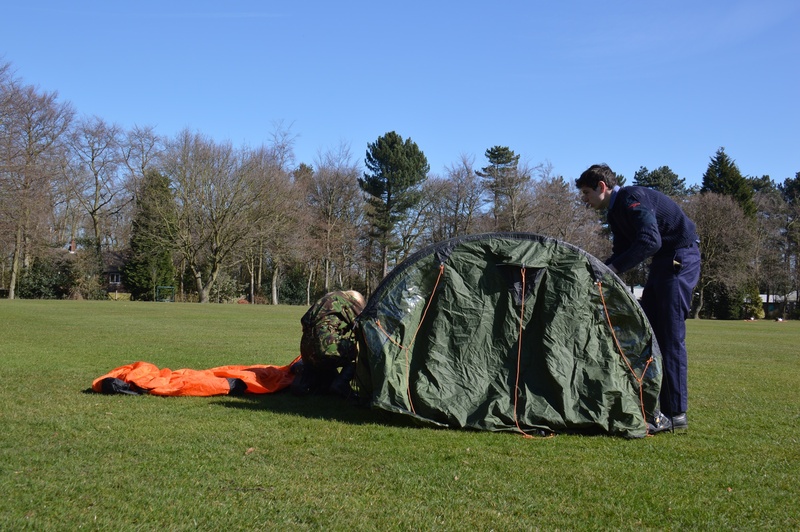 Our Contingent Commander and Duke of Edinburgh Manager, Maj Simon Payne gives us a round-up of the day. 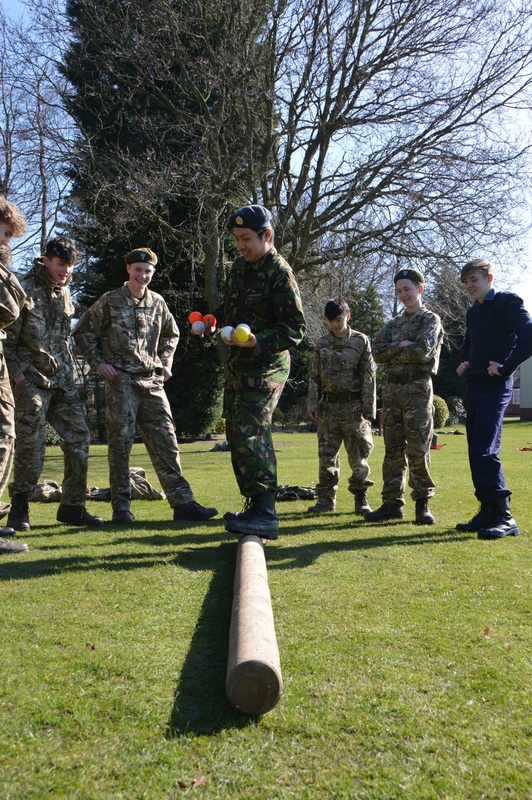 "The day was a fabulous team effort in many ways, cadets were mixed into teams from all three sections and competed in many different activities around the school. The challenges were vast and varied from First Aid to resupplying water and electricity to a war-torn village. They engaged in mind games and were disciplined in shooting after a route march. Cooking in the field was for an RAF officer, however, it was nice to see Headmaster, Gavin Horgan partaking here at one point. 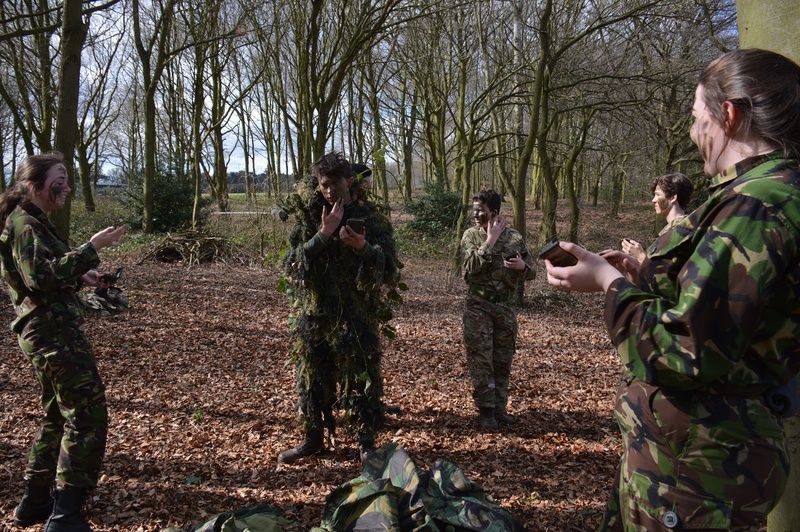 Drills and geo cache’s, along with camouflage and concealment rounded off the day nicely. 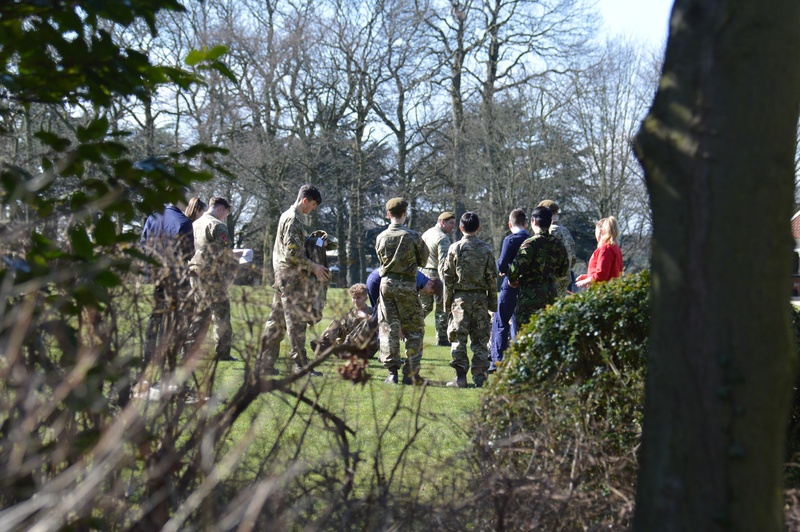 A very busy day indeed for all cadets and officers. 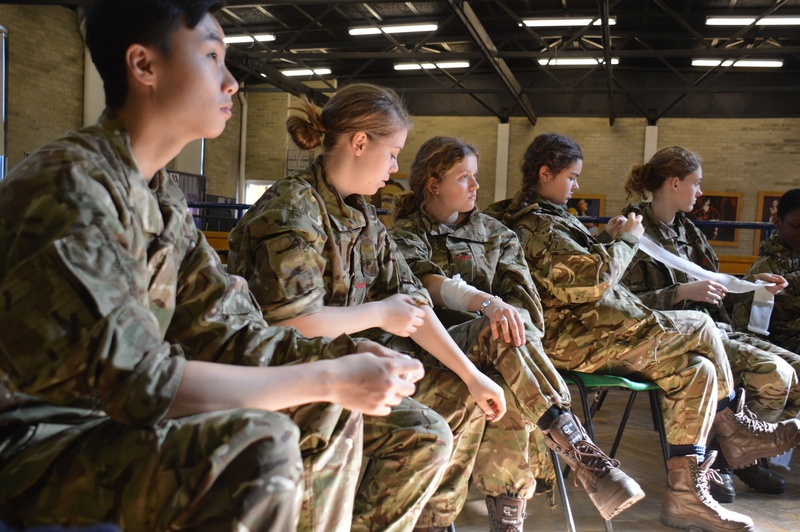 A big thank you goes to the senior cadets who are establishing their roles within the Contingent and slowly taking command. 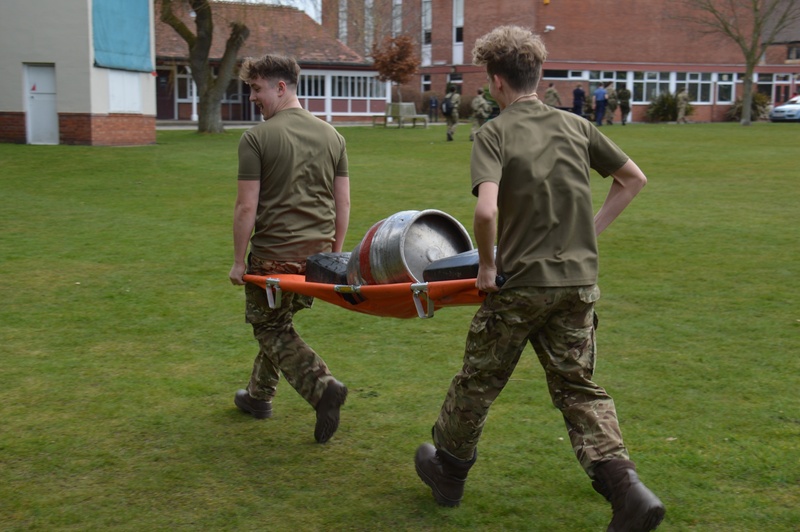 We were all winners on the day, the weather was very kind to us, but most of all the engagement of the junior cadets in years 10 and 11 made for a very enjoyable day indeed."